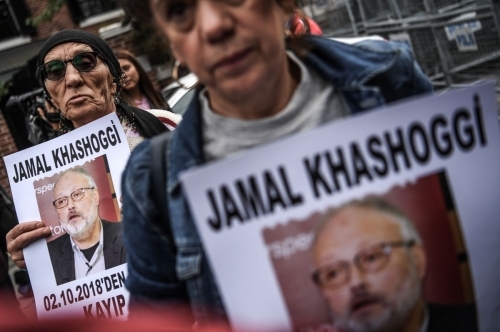 Allegedly, Jamal Khashoggi in his last column focused extensively on the need for press freedom in the Arabic speaking world. This is being lauded in Western media circles and in publications that have Muslim Brotherhood leanings. Yet, just basic critical thinking would render this to be overly simplistic and blatantly political. After all, if Khashoggi was so principled and cared about press freedom, then why did he enjoy his visits to Turkey and meet with President Erdogan and leading politicians from the same political party? This question is important because in modern-day Turkey you have countless numbers of political prisoners languishing in jail. It matters not if you are Kurdish, a Gulenist, or leftist because all face the brutal reality of Erdogan’s Turkey. Equally important, Turkey is a nightmare for journalists who dare question the excesses of Erdogan and his intrigues aimed at curtailing political freedom. Hence, the narrative of Turkey claiming that they have evidence of the murder of Khashoggi by a Saudi hit squad must be viewed in light of the nation expressing this. Yes, a nation that imprisons people at the drop of hat, arrests journalists, is involved in terrorist and sectarian intrigues in Northern Syria, and other ill deeds. Therefore, with each passing day suspicion remains that the Muslim Brotherhood universal political wing, Qatar, Turkey, and other forces opposed to internal changes inside Saudi Arabia, are collectively seeking to “milk the situation” by spreading anti-Saudi Arabia propaganda. Overall, with Turkey in recent times taking on Saudi Arabia by supporting Qatar and Iran – and being opposed to the leadership of Egypt – and other factors related to the Muslim Brotherhood; then why would Saudi Arabia openly butcher an individual in a nation that supports the other camp? Also, since Turkey claims to have evidence, then how come the security services of Saudi Arabia were not aware that Turkey was spying on them? Therefore, why would Saudi Arabia openly support such a terrible own goal if ordered by the inner elites of this nation? Indicating a botched attempt of taking Khashoggi for rendition to Saudi Arabia and a cover-up. However, the gruesome comments emanating from Turkey seem out of line with a chain of events that was most likely unintended – even if resulting in death.